Our dearly loved super spectacular lead guitarist and vocalist extraordinaire has graduated to the CrossRoads Tour Elite! 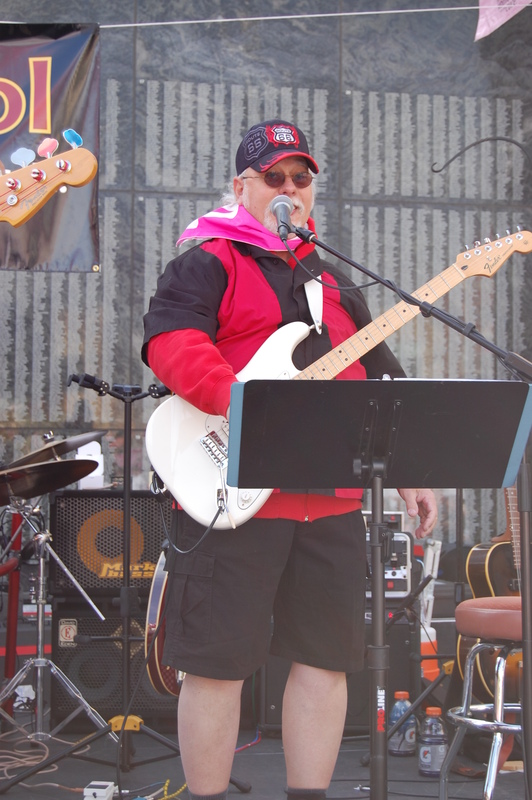 Ned was our lead guitar for the last 12 years and longer if you count high school and other early gigs. He passed peacefully early this morning, March 5, 2019, after a struggle with with pulmonary fibrosis issues. Book us some good gigs brother! 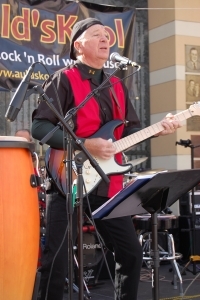 Auld’sKool IS classic rock ‘n roll with muscle! Okay....this is one crazy rockin’ performance band. No recordings yet. We perform man….! The band covers many tunes from the ‘60’s and ‘70’s classic rock era and specializes in Top 40 and customized playlists. Auld’sKool hails from Salt Lake City, Utah. 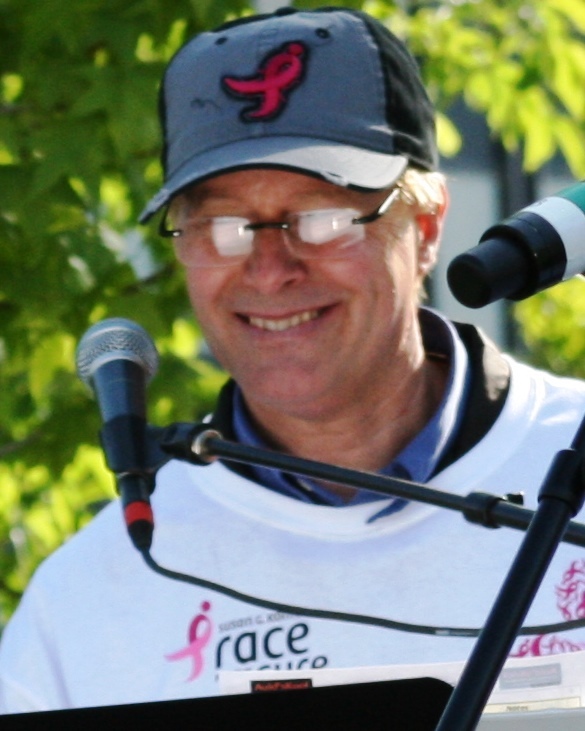 Auld’sKool has been on stage with Ryan Shupe and the Rubber Band at Christmastime, featuring Nancy Hanson during a Summer Fun Season, rocked in the park with Alex Boye' and played for many venues from birthdays to weddings to major events like Susan G Komen's Race for the Cure. 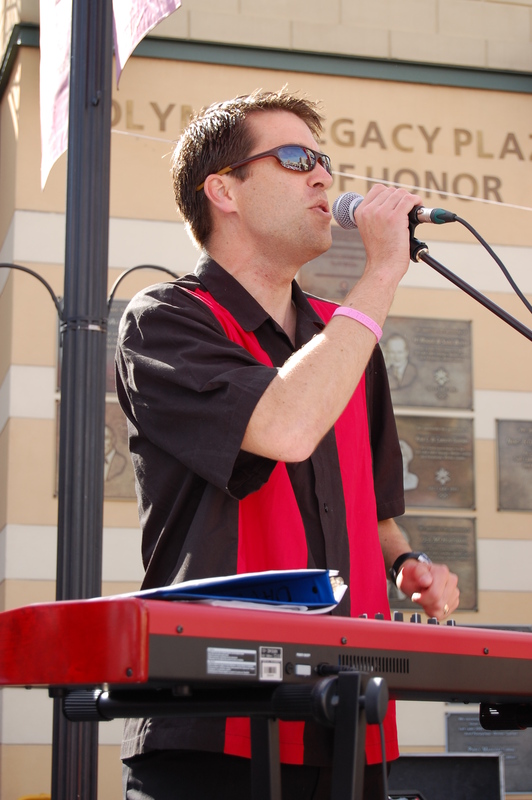 The band has played at Salt Lake Community College, high school reunions and any number of events that require a band that wakes up the party! They can make as few as 50 and as many as several thousand ‘dance to the music’. If you want a CD, there are plenty of the originals to buy. If you want a live band that just ‘can’t stop the music’ …. you want Auld’sKool! All the guys and gals in this band have been in rock ‘n roll cover bands since high school, though in different states. The PoorBoys (Doug's band) opened once at the Lagoon Terrace for the inimitable BeachBoys. Nobody’s Children (Bruce's band) was voted the best band in New Mexico! Thornwood Mill (Verdi's band) toured the country performing at universities, hotels, resorts and clubs. MGM even picked up one of his songs “You’ve Given Me Love” and cut a record! A What? Vinyl, you know…. One member of Auld’sKool was a soloist with the Mormon Tabernacle Choir! WOW! Now that rocks! We decided in 2011 that the band needed a better looking "front". Thus, we decided to invite some female talent to join us at the start of each new season. Kelli Moyle has been a soloist performing rendering her own tunes in the clubs of SLC, Waukegan IL, and on stage with a few famous folk artists. She plays acoustic, electric, sax, percussion and lead vocals. Nancy Hanson is a known quantity along the Wasatch Front. She is what we call a 'seasoned professional'. 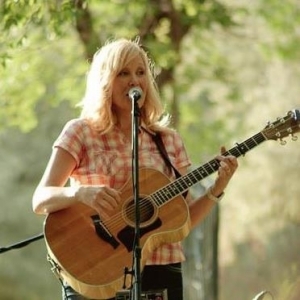 Nancy has been on the big stage with local quality artists doing her mellow country/bluegrass original work. We've pushed her out of her comfort zone by asking her to add her silky smooth lead vocals to some of the funnest old time rock 'n roll out there. 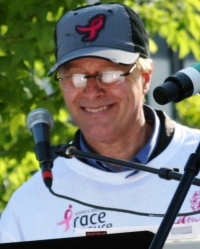 Holly Arballo is our most recent addition who will join us for the 2015 Race For The Cure and beyond. She is an incredible talent, writing her own music that we will perform this season. Her style leans towards the blues/jazz spectrum and you will be pleased! These ladies have graced us with the pleasure of their incredible talent and will appear on regular ocassions. Thanks! In the words of Jack Black in School of Rock quoting AC/DC….. The original edition of Auld'sKool began with Bruce, Doug and Dave about 11 years ago. Ned and Verdi joined the band when we played a Skyline High School's Class of 1968 reunion. Ever since then, it's just been a great fit. Joey came to Auld'sKool by way of Ned after Joey needed to do some other things, Tim Lunt became our drummer for the the longest time now. In the last year the captivating Ms. Kelli Moyle joined us after singing at Doug's daughter's wedding. Most recently, we've been graced by a truly seasoned professional! Nancy Hanson has joined us for a change of repetoire or at least an addition to her talent by digging some rock 'n roll. So, you see, we're a very closely "tuned" band of friends and 'believers' in the gospel of Rock 'n Roll. Holly Arballo - is younger than these old guys. However, she has musical wisdom beyond her years. 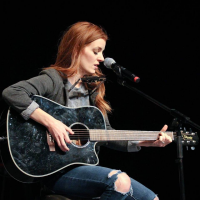 With an incredibly unique voice, guitar skills, ukelele talent, harmonica and percussion, she will be a uniquely fun addition to the 2015 season. Holly hails from Vermont and has found a home with her Coast Guard husband and beautiful daughter in American Fork. You've got to come hear us now. Ned began playing guitar in the 9th grade and took up playing bass the summer of 1965 with a good friend. They formed a band called The Diversions. This was the beginning of Ned's love for performing. Throughout high school he played in a couple of different "garage bands" and honed his guitar playing musical abilities through this time period. Upon graduation from High School, with the Vietnam War going on, Ned was able to join the Utah National Guard which kept him out of Vietnam. Due to his political stance, he stopped going to his required guard meetings and was therefore 'politely' asked to join the Regular U.S. Army for a brief time in Korea. While there, he formed a group called the Purple Underground and played throughout Korea for Officer's Clubs and USO shows for most of the year that he was there. When he got out of the Army, Ned joined with an old friend who was playing with two other friends. They created a band called Scooter and played mostly original music, which Ned co-wrote much of. Throughout the years Ned continued to perform with various bands and then took a 20 year break. But the call of Rock and Roll is strong and Ned was back playing guitar through the 90's and into the future. In the summer of 2008, Ned came back into contact with his high school friend, Doug and was asked to join up with The Boomers and the rest is history. Rock and roll is a powerful master and those of us who love it can only continue to perform. Louie, Louie anyone? 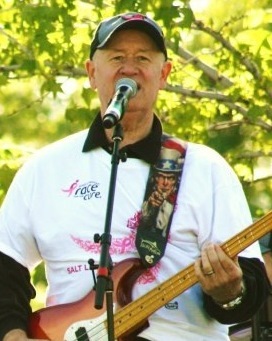 Doug Olson, like Ned and Bruce, is an authentic 'rock 'n roll' Oldie. He was born in Salt Lake City, Utah even longer ago than dirt. The usual piano lessons (about 4 is all he could take) and school music stuff was where it began. His real appreciation for music came from a father who played the record player all the time (78 rpm if any of you know what that is). Every kind of music was in the home and that created this love affair. Doug's rock 'n roll started in 1962-63 in a 4-man band called The PoorBoys. "We were dang good", says Doug. Back then, he played rythmn guitar on a classic Mark IV 1963 Sunburst Mosrite. Sometimes that old Mosrite will show up on stage with one of us. The PoorBoys lasted about 5 years until Doug gained interest in more classic music performance. With 2 years of music theory and performance at the University of Utah, a terrible thing happened! He set performance music aside for a time chasing babies. Once the family settled, he picked up singing in quartets, choirs and the soul of 'rock 'n roll' was awakened again. Doug primarily plays his custom 'LandingBass' signature Bass and sometimes adds the old Mosrite Mark V 1965, 4-string along with the proverbial numbered Hofner 1965 Beatle Bass. Yes, some of us are old...but old brings experience and wisdom. Now we know what we're doing and boy do we love doing it! As ever......Auld'sKool! Verdi grew up in a household of musicians and learned to love keyboards and singing from his father – a legend in his own time for rockin’ the piano. Verdi began his training and performing at an early age. He studied piano and voice from some of the finest musicians in Utah, including Ted Johnson, John Marlowe Nielsen and Blanche Christensen. During the 70’s, he started the band, Thornwood Mill, and traveled around the country performing at universities, resorts and night clubs. MGM picked up one of the band’s songs “You’ve Given Me Love” and cut a record. After spending six years on the road, Verdi left the band and attended the University of Utah where he sang tenor for a small ensemble called Pro Musica and performed in various local quartets and bands. Since 1971, Verdi has never been without a gig - from the DPS Ensemble in Utah to the Goodbye Boys in Fairbanks, Alaska. He now joins his high school buddies Doug and Ned in rocking the house with Auld'sKool!!!!! Geoff White is Verdi's Brother. Someone say something about family? Geoff is an accomplished musician with incredible skills on the keyboard. I mean, he sells keyboards and has done for too many years to count. He has the 'family' voice and blends perfectly on harmonies. He rocks it. Rick Egan - Is Verdi White and Geoff White's cousin. Yes, we like to keep it all in the family. Rick comes from a musical family as well. 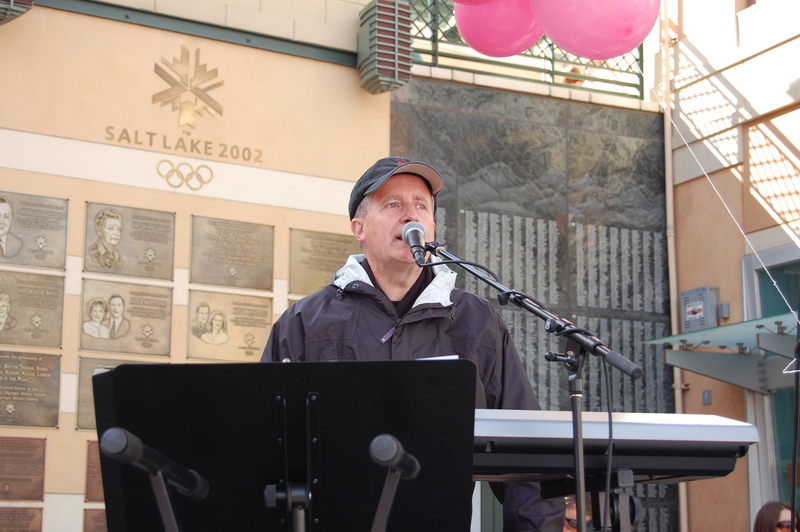 He has played in many and varied venues across the Wasatch Front. He can pound a mean stick. and has been with us since! Bruce Sullivan makin' it sing! 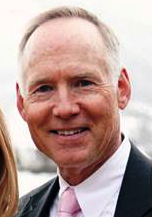 Currently emeritus while serving an LDS mission in Spain, Bruce Sullivan was born in Gallup, New Mexico, right in the middle of the great post-World War II “baby boom” (if you do the math that makes him older than dirt), and grew up 2 blocks from Route 66. In the 6th grade his dream was to play drums when it came time for school band to start, but alas his mother’s dream was to have a clarinet player the likes of Pete Fontaine in the family, so guess whose dream got fulfilled? NEITHER! HA! Even though Bruce acquiesced to his mother’s wishes, Pete Fontaine he never was. But his love of music and natural ability did get him a college scholarship, and he graduated from Brigham Young University with a degree in music (but not on the clarinet). While in high school Bruce formed a 60s rock band patterned after The Fab Four called Nobody’s Children and quickly became the hit of the southwest, recording a local #1 hit called Baby I Tried. To his amazement a few years ago he discovered their hit record on a French Album entitled Garage Bands of the Southwest. Go figure. Since then several bands have come and gone but the love of Old Time Rock n’ Roll never has left his blood. The difference between now and then is that as an adult with a career and steady job he has a bank account to satisfy his G.A.S. (Gear Acquisition Syndrome, and sometimes fatal disease for old rockers). One of his great satisfactions of life (it’s not true, you CAN get SATISFACTION!) is to have Dave his son pick up the Rock n’ Roll torch to carry into the next generation. Let’s Rock! David Sullivan is Bruce's son and the best guy ever, putting up with all these 'auld' fellows.... David, being younger and a father of 4, needed to devote more time at home......he'll be back. Dave plays...ah....everything, guitar, congas, percussion, keyboards and sings a ton of our key solos. Dave is a graduate of BYU (it's okay) and was a ballroom dance giant. Talk about rhythym! He's got it. So, yeah, there's a ton of energy in this band, that's where the 'muscle' comes from, but really.....it's all Dave. Joey Naso was born in good Ol' Boston Massachusetts. However, he grew up in a little town in southern California called Simi Valley. He was interested in playing the drums from the age of five but was relegated to playing the French horn in junior high until there was a percussion spot available. Joey had asthma, that made french horn playing much harder than he thought. But he eventually got the coveted drum spot. During his school years, Joey was one of the first to start a drum corps for the junior high drill team. He went on to playing drums in high school with marching band as one of his favorite classes. In his senior year, he broke his wrist while roller skating so it made for a long 6 weeks without playing the drums. (I’m sure there’s a lesson in there somewhere). After high school, Joey went on to be in several bands over the years that competed in Battle of the Bands and also played in a few Hollywood clubs where several famous bands like Van Halen got their start. As funny as it sounds, Joey traded his drum-set for a surfboard and after two or three weeks, realized he was lacking any surfing talent, definitely not a surfer. It just so happens that the other guy was equally happy to trade back. Joey’s passion is definitely playing the drums and it shows. He’s been in several rock n roll bands, one reggae and another with a country flair to it with Ned Nerdin and another band called Above and Beyond also with Ned Nerdin. 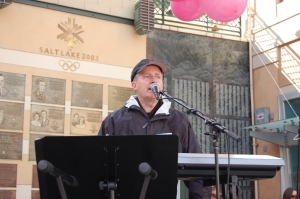 He has also played on the worship teams of different churches over the years. 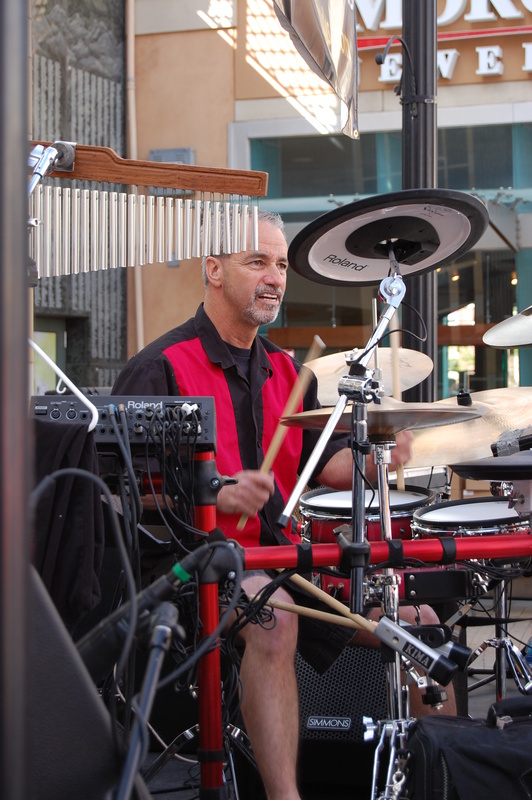 To mention a few of Joey’s influences, Neil Peart of Rush is his favorite drummer and he grew up listening to stuff like Areosmith, Led Zepplin, Triumph, Beatles, Monkeys, Ventures, Beach Boys and Credence Clearwater Revival. There’s really too many bands and drummers to list, but that gives you an idea. Joey likes golfing, dirt bike riding, bowling and just doing the chores around the house. I guess you could say he’s an “average Joe”. We enjoyed Joey's tenure with Auld'sKool and would gladly welcome him back.